WIZARD FOR HIRE: APPRENTICE NEEDED by Obert Skye. 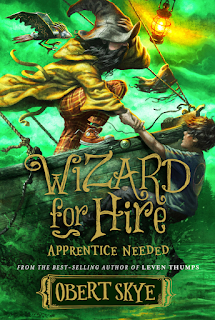 This is a great addition to the WIZARD FOR HIRE series, see my review here. Throughout the entire first book and most of this book I found myself going back and forth on whether or not I believed Rin was a real wizard. Everything was so masterfully done that I'm still debating. I loved the continuing adventure Ozzy, Sigi, and Clark are on. And the bombshell that is dropped 3/4 of the way through the book is fantastic! This is a series that just keeps getting better and better. I can't wait for the next one to come out. I would highly recommend this book to any and everyone of all ages. More than ever, Ozzy could really use the services of Rin, the wizard he hired to help find his parents—but Rin is missing, despite Ozzy's continual attempts to contact him. And Clark, the mechanical bird his father left him, is as peculiar and vain as ever. When a mysterious package arrives, Ozzy and his good friend Sigi are sure that the plane ticket and thumb drive they find inside are from Rin. Trying to get Clark through security at the airport proves complicated—as most things are with Clark. But when they arrive in New York, they discover there's even more adventure in store for them. Will Rin return and save the day? Will Ozzy figure out why he keeps walking into the ocean? Can Sigi find a way to trust her delinquent father? Will someone please appreciate Clark the way he'd like to be appreciated? For once? 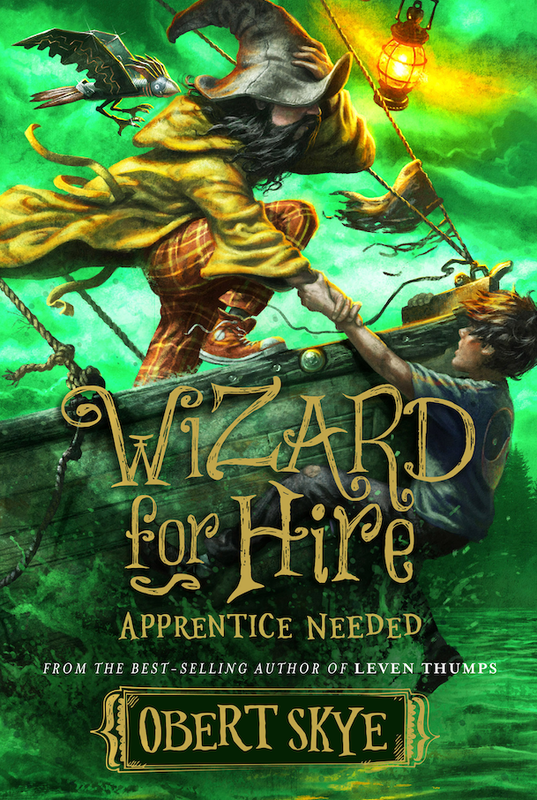 Wizard for Hire: Apprentice Needed is a story filled with humor and excitement that shows us the magic in everyday things.